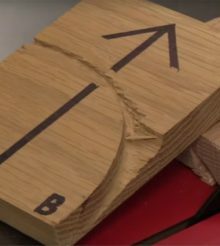 For some people, when it comes to choosing a table saw, there is one criteria which is more important than anything else. Size! Not all of us have the opportunity to work in large open and spacious workshops where the cabinet saw takes pride of place with space all around. There are some amazing examples of small compact and amazingly organized workshops where woodworkers have had to adapt to what they have. In a lot of these small workshops you will find brilliant, compact, feature packed small table saws. 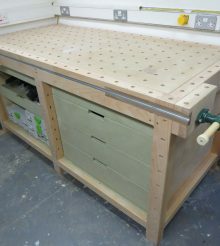 Its not only the small workshop woodworker where every inch of space counts. 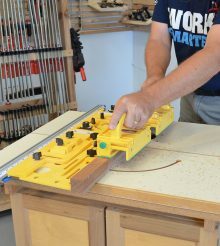 The mobile woodworker and contractor needs to move their table saw from job site to job site and having something that’s small, light, sets up quickly and accurately is more important than anything else. 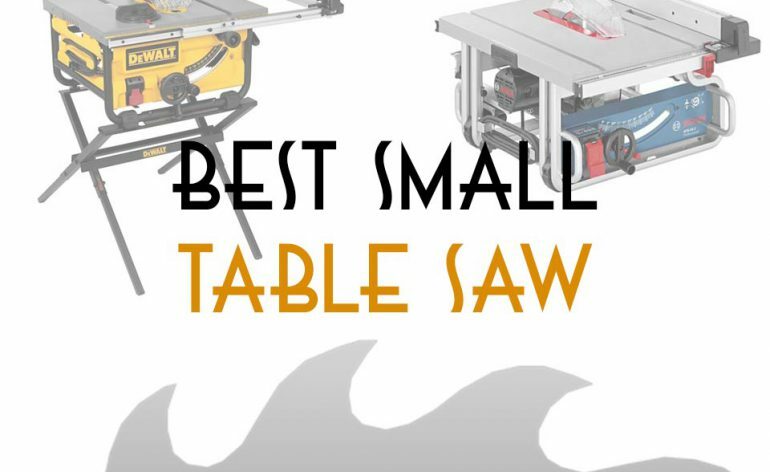 Whats the Best Small Table Saw? The Bosch GTS1031 and the DeWalt DWE7480XA are two of lightest and smallest table saws around at the moment. The DEW7480XA weighs in at an incredibly light 48lbs (That’s without the stand), where the GT1031 is slightly heavier but still a very respectable 52lbs. Now I wouldn’t want to walk any great distances carrying them, but they are probably the two lightest saws available and should be easy enough to move around. These two saws also have small table saw surfaces. The GTS1031 is 22 1/2″ x 20″ where the DWE7480XA is 22″ x 23″. The DWE7480XA is worth a special mention because even with its small table surface, with the extendable wing it is still capable of a max rip of 24″ so will be able to rip a full size sheet of ply in half. As you would expect from a portable table saw both the GTS1031 and the DWE7480XA use 15 Amp direct drive brush motors, and its good to see two fine examples with these saws. The Bosch GTS1031 packs a very impressive 4hp motor that spins at 5000rpm. it really is up to the job, and for a saw that costs $350 you can’t really ask for much more. These saws were designed with portability in mind so its nice to see that they both have the ability to safely store all of the accessories, such as miter guage, blade guard, push sticks and blade changing wrenches, on the saw. meaning you don’t have to carry anything separately from job site to job site. So given the choice which saw should you go for. For me I think I would go for Bosch GTS1031. Its the cheapest saw here ($350 at the time of writing) and suits my style of woodworking. I like to work in the workshop most of the time, but their are occasions when I will want to move the saw to the job site. The motor is strong and will easily cut anything I need it to. It also accepts a stacked dado blade which is amazing in a saw this small. Now on its own the saw has a max rip capacity of 18″ which is smaller than the DeWalt and their may be occasions where I need to rip full size sheet materials in half, which is why I would build a custom out feed table and fence for when using this saw in the workshop.